I learned to sew at age eight and started right away making people clothes. I made a dress for my little sister. She was not as appreciative as I hoped she would be and so I moved on to sewing my own clothes. But I spotted this book somewhere, somehow (without an internet) and begged for it. 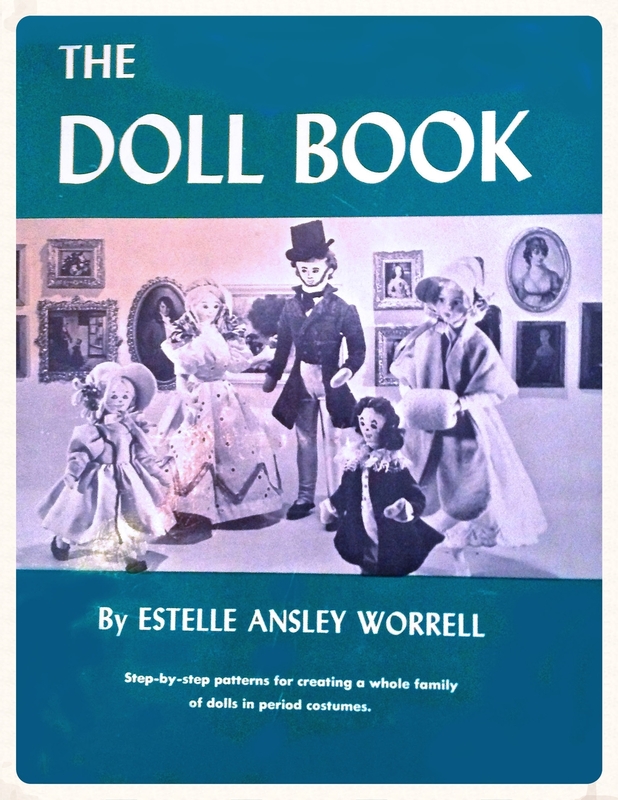 It is called "The Doll Book" and it really was the THE doll book, since I knew of no others. I loved it and made many of the dolls and the clothes. I still have it and I still think it is cool . It gives you the patterns for a family of dolls--parents, older siblings, younger siblings and a baby. I made them all. The patterns are Barbie sized and I love the way old Barbies are inter-mingled in the photos. 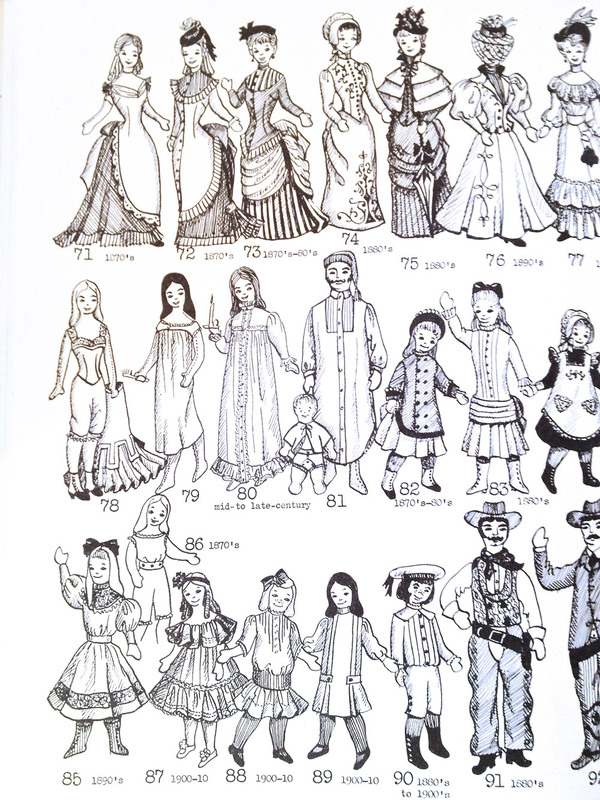 It also gives you hundreds of period clothing patterns. You could historically dress your little dolls in outfits from the early 1800s on through to the early 1900s. The book would be fun for any child who wants to try doll-making. The dolls are simple and flat and the instructions for the clothing are amazing. Used copies are still available on Amazon. Starting at about a dollar.